As we announced last week, our hit game Woof the Dog is now featured on FreeAppDeals! 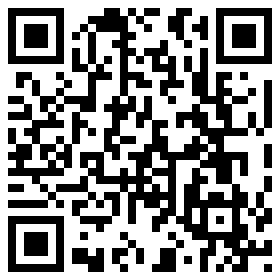 Their app portal was launched recently and has several great upcoming deals on iOS /Android so pay them a visit regularly! NSD Powerball and Woof the Dog on Freeappdeals! 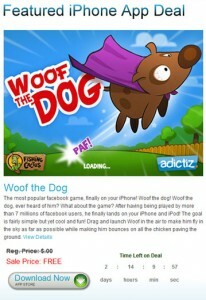 The folks at Freeappdeals.com are featuring two of our games! Currently NSD Powerball is on the first page and Woof the Dog is soon to follow! Now’s the time to get these two free games if you didn’t already! 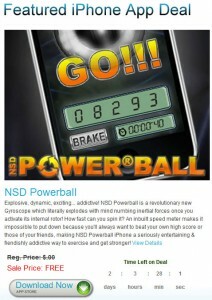 And don’t forget about NSD Powerball Complete for a full-content version (all inApp included) of the game! Hi Creatures fans! While we’re waiting to share more details about the game, here is the teaser artwork for you to download and use as a wallpaper. Time to reveal one of the big project currently going on at Fishing Cactus, so here we go. 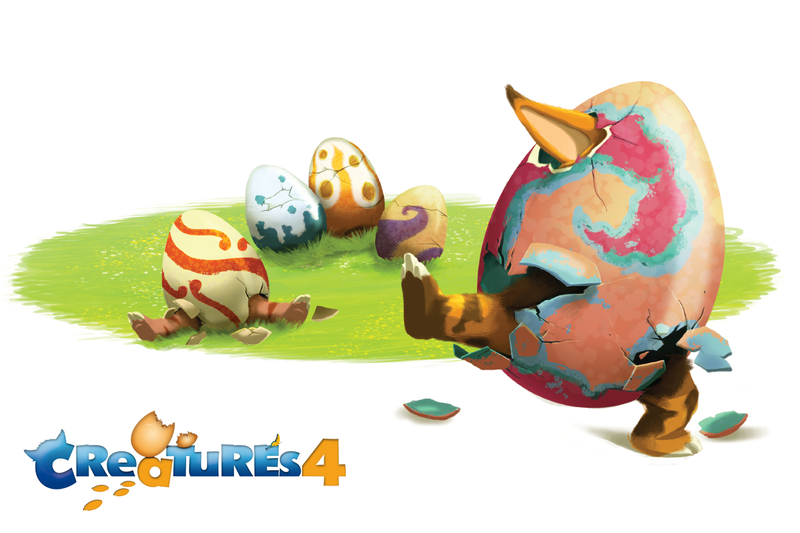 Bigben Interactive, Gameware and Fishing Cactus will re-envigorating the adorable CREATURES series in 2011! A little history, from 1996 to 2001, those lovely felines have entertained over 2 million players on PC, Playstation and handheld formats. Many awards have been won for the AI running behind the game and a major global game franchise established. 10 years after, Fishing Cactus, Bigben and Gameware are set to deliver a brand new game based on this incredible license. For thos who already know everything about Creatures, what this version is all about? The approach will be to maintain the characteristics and integrity of the earlier games. 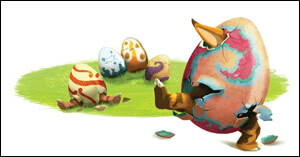 The new opus will be free-to-play and available on PC/Mac and iOS platforms – iPod, iPhone and iPad. A collector gift box full of surprises will also be created. For the new born, what is Creatures all about? Creatures models real biological systems inside your device. They come complete with their own biochemistry, brains, digital DNA, and an environment in which to live. It is a simulation game very much like the Sims but in a much more complex way! None of the behaviors you will see in the game has been specifically programmed. The Creatures make their own choices, and learn from their mistakes. You guide them through their lives, helping them through the bad patches and enjoying the good times. When they become adults, your Creatures can mate, and their children have their own unique genetic material (meaning look). The possibilities are boundless. Everything from their poses to the individual chemical reactions inside their bloodstream are genetically specified. Who knows? A tenth generation creature could possibly be considerably more intelligent than those you start with. Creatures is all about Artificial Life. By modelling the building blocks of life, we believe it is possible to recreate life-like behaviours inside a digital device. From the original Creatures, released in 1996 to Creatures Docking Station, our free, internet-enabled, fully-featured title, we’ve been releasing the Norns, Ettins and Grendels of Albia to the world, where they’ve charmed players of all ages and introduced countless to the wonders of Artificial Life, genetics, biochemistry and programming through Creatures’ unique and advanced technology and engaging gameplay. For those who don’t know about this Event, the Second Belgian Serious Game conference will happen on May 26th in Louvain la Neuve @ Aula Magna. This edition promises to be grant, lots of talks, partners and different interactions, even though almost everything will be in French. Fishing Cactus will do a live Demo of R.O.G.E.R and will have a stand with demos of our latest Serious games so don’t hesitate to come say hi! Fishing Cactus will Present R.O.G.E.R at Games for Health in Boston! Great news! We’ve been invited to present our Kinect Serious game, R.O.G.E.R at the cognitive and emotional health track at the Games beyond entertainment week 2011 in Boston on May 19th! It will be the occasion to share our experience on the project, talk about our relationship with the therapists and the Microsoft Innovation Center, and why not, find investors to support the rest of the project! 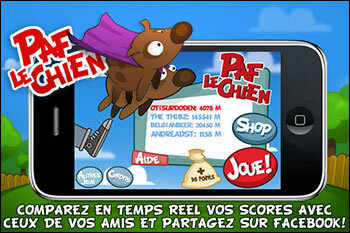 Paf le Chien est enfin arrivé sur iPhone & Android ! 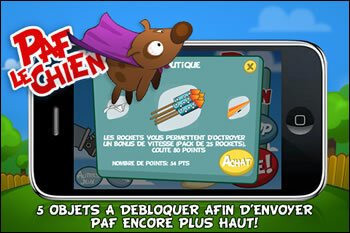 L’AppStore et le Google Market n’ont pas pu résister aux assauts du chien préféré du web ! Gratuitement en plus. 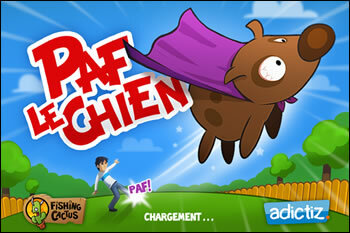 Il n’est pas passé inaperçu par les joueurs puisqu’il est actuellement en tête du chart gratuit FRANCAIS sur l’AppStore..
Paf le Chien, vous connaissez surement la blague, mais connaissez-vous le jeu ? Après avoir séduit plus de 7 millions d’utilisateurs sur Facebook, le voici qui débarque enfin sur iPhone et Android. Le principe est sympa et simple : donnez un bon lancé à Paf le Chien à l’aide de vos doigts pour le faire s’envoler le plus loin possible tout en rebondissant sur les poules (ou dindes) qui parsèment le parcours. 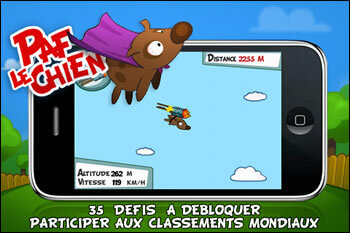 Paf le Chien ne demande qu’un peu d’habileté pour exploser les records de distance. Personnalisez Paf avec des items pour améliorer ses performances. 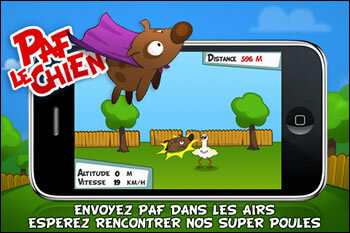 La fusée ou le deltaplane vous feront planer plus longtemps alors que les super poules augmenteront l’efficacité de vos rebonds. En tout 5 objets peuvent être utilisés pour atteindre la première place du classement mondial. Vous pouvez même comparer votre score avec vos amis sur Facebook, Twitter ou via la plateforme sociale OpenFeint. Réussirez-vous à battre les 30 défis que Paf vous propose? 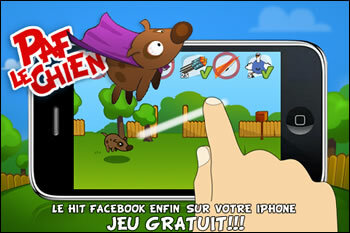 • JEU GRATUIT (c’est déjà pas mal) !!! Pour terminer nous sommes attentifs aux commentaires des joueurs, si vous voulez de nouveaux objets, diminution de la publicité ? Un petit commentaire positif et constructif suffit ! Faites passer le mot, nous débloquerons 1 nouvel objet si nous atteignons 200.000 téléchargements. Another 48h GAME JAM in Belgium! For all of you artists and programmers who missed the Global Game Jam in Antwerp end of January, we’ve got great news!! C-MINE the new site in Genk with ambitions to promote the creative industry is offering their under-construction location in Genk for the next Belgian Jam! The Game Jam starts at 17h00 on Friday and end on Sunday at 17h00. This time we’ve even got some real prizes to win! 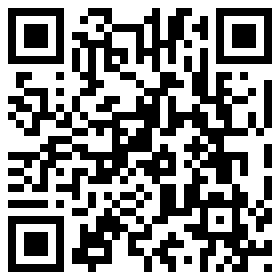 Win a UNITY3D iphone or android indy license! Stay tuned… More info coming soon! Are you a game industry expert or do you think you have something interesting to say to the Belgian gaming community?